Church Information - Good Shepherd L.C. Established in the early 1980's, Good Shepherd exists to serve people with the Gospel of Jesus Christ on the basis of God's Word. We seek to clearly proclaim God's Law and Gospel to lead sinners to repentance and faith in Jesus Christ for life and salvation. We strive to strengthen believers in lives of faith through the Means of Grace God offers us in his Word and in the sacraments of Holy Communion and Baptism. And we strive to equip believers as disciples, stewards, and witnesses for sharing the Gospel of Jesus with others. As a Lutheran congregation, we accept and preach the teachings of Martin Luther and other reformers who sparked the Reformation of the church in the 16th century. The teachings of Luther and the reformers can be summarized with three phrases: Grace alone, Scripture alone, Faith alone. Written by Luther's colleague Philip Melanchthon, this statement of faith is often viewed as the chief Lutheran confession. It was presented by the followers of Luther to Emperor Charles V at the imperial diet (assembly) meeting in Augsburg, Germany. It was intended to be a summary of the chief articles of the Christian faith as understood and taught by Lutherans in contrast to the errors that were being taught by the Roman Catholic church. In the years following Luther's death, Lutherans had become divided over a number of doctrinal issues. Written primarily by Jacob Andreae, Martin Chemnitz, and David Chytraeus, the Formula of Concord (or "agreement”) was a detailed restatement of many of the truths contained in the Augsburg Confession and was intended to be a statement that all genuine Lutherans could adopt. It was signed by over 8,100 pastors and theologians, as well as by over 50 governmental leaders. The Solid Declaration is the unabridged version. The Epitome is an abridged version intended for congregations to study. Good Shepherd Lutheran Church is a member of the Wisconsin Evangelical Lutheran Synod [WELS]. This world-wide church body is the third largest Lutheran church body in America with 1,278 churches; 380,728 baptized members; and 300,665 communicant members. As a member of this church body, we support work in world mission fields like Cameroon, Malawi, Nigeria, Zambia, Hong Kong, India, Indonesia, Japan, Nepal, Pakistan, Russia, Taiwan, Thailand, Albania, Bulgaria, Dominican Republic, Haiti, Mexico, Bolivia, Brazil, and Colombia. We also support mission work in the United States, Canada, and the West Indies. As a member of this church body, we maintain Martin Luther College in New Ulm, Minn., Wisconsin Lutheran Seminary in Mequon, Wis., and two preparatory high schools: Luther Preparatory School in Watertown, Wis., and Michigan Lutheran Seminary in Saginaw, Mich., for the education of our pastors, teachers, and staff ministers. Our congregations—either individually or as federations—operate one of the largest Lutheran school systems in the country with 316 Lutheran elementary schools; 403 early childhood ministries; 23 area Lutheran high schools; and Wisconsin Lutheran College, Milwaukee, Wis.
As a synod, we run one of the largest Christian prison ministries in the nation, distributing hundreds of thousands of Bibles and Bible correspondence courses to inmates across the United States over the last 20 years. 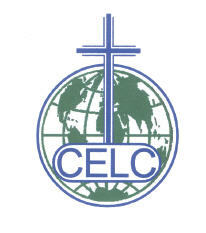 As a member of the Wisconsin Evangelical Lutheran Synod, Good Shepherd Lutheran Church is also a member of the Confessional Evangelical Lutheran Conference [CELC]. Providing a forum for confessional Lutherans around the world, the CELC—made up of 24 member church bodies worldwide—gathers at triennial meetings for encouragement, fellowship, and an internationally united voice. Offered two times a week: Sunday, following the Divine Service and Tuesday evenings at 7pm..
Catechetical Studies for students grades 6-8 is offered on Wednesdays at 4pm during the school year. Sunday School at 10:45am-11:55am for children pre-school through eighth grade. A Basic Bible Christianity Class is offered on request for any individual(s) interested in membership or more information about our congregation and church body. Heated or air conditioned (depending on the time of year). Sound enhancing equipment for the hearing impaired. In Holy Communion, we share in the mystery of the bread and wine offered together with the body and blood of Christ. As Christians who believe that the Bible is inspired by God and that every word written in it is God’s holy Word, we believe that we receive the body and blood in, with, and under the bread and wine. While this is something that goes beyond our human understanding, our faith allows us to accept this as true. God warns us in the Bible that anyone who doesn’t understand this teaching or who denies this real presence of Christ’s body and blood will do damage to his or her soul if not taught first. As a congregation we care about people and about the spiritual well-being of individuals, especially those attending the Lord’s Table. If you are a guest and desire to commune, please speak to the pastor before the service. Our altar is open to those who confess oneness with us in doctrine, are not under church discipline in another congregation, and are members of our congregation, one of our sister congregations in the Wisconsin Evangelical Lutheran Synod [WELS], or a member of our sister synod, the Evangelical Lutheran Synod [ELS].